HB 1163 — Reduces the punishment for carrying a concealed firearm at places with legal gun-free zones such as bars from a misdemeanor that could lead to possible jail time to an infraction punishable by a fine. Sponsors held it was needed to curb instances where otherwise well-meaning gun carriers missed a posted sign or were unfamiliar with the law. HB 1332 — Allows school districts to designate staff to carry firearms of school grounds as part of an armed first responder program. The bill requires schools to coordinate with local law enforcement on their plans and supporters reasoned it offers a valuable tool to small or rural districts that may not have regular access to a school resource officer. Lawmakers say there are at least eight small schools already interested in the program. HB 1381 — Bars the use of taxpayer dollars for firearm buyback programs while at the same time making it illegal for law enforcement to support one. Violators face a misdemeanor penalty. Supporters of the bill argued that such events do little to curb street crime and are often conducted in conjunction with police who could be better used elsewhere. Besides approving the three pro-gun bills, lawmakers rejected a measure backed by gun control groups to institute a Public Safety Protection Order program that would allow police or family members of an individual thought to be at risk to petition the courts to have the individual’s guns seized for up to a year pending a hearing. The proposal, HB 1537, only drew 17 supporters while 76 lawmakers turned a thumbs down. I’ve never used any Tactical Tailor products, so I was very eager to try out their new intermediate threat bag. 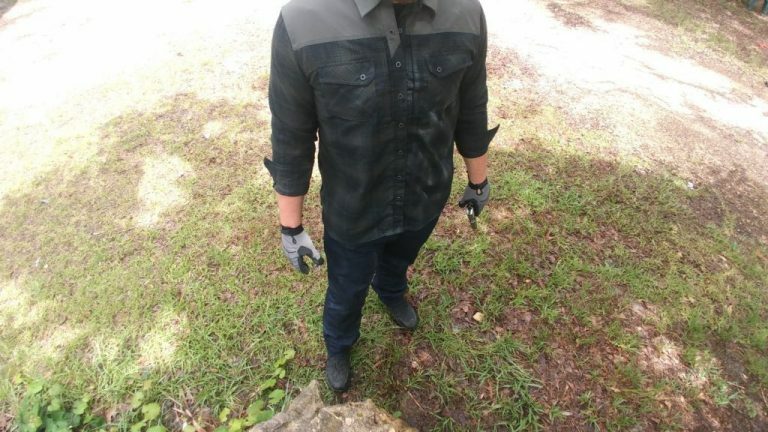 I have had buddies tell me that they have trusted Tactical Tailor products during multiple tours overseas, however, I had never had experience with any of their products until now. The Intermediate Treatment Bag is the perfect size for carrying vital medical supplies into a hazardous area. The Intermediate Treatment Bag features a large center compartment which is great for large items such as SAM splints, small suction devices, or other similarly sized equipment. The lid of the main pouch has two smaller zipper pouches on both the outside and inside of the lid. Each side of the bag has two smaller pouches that run the length of the bag. Each pouch has elastic loops to help secure smaller items such as medical tape. Additionally, the bag comes with two smaller removable pouches that fit inside the main compartment. Each of the smaller pouches features elastic loops to secure equipment inside of them. They also open all the way so they can be laid out on a flat surface for easy access to contents. I actually used one of the smaller pouches as its own first aid kit on a trip out of town, and it worked great. One of the first thing I noticed about the bag was the high quality that YKK zippers used. The zipper pulls are metal and very large for easy use while wearing gloves. However, it would have been nice for the zipper pulls to have a rubber coating on them to help get a secure grip in the event you have blood or other liquids on your hands. The bag includes a fixed carrying handle at the top and has both a fully removable shoulder strap and waist belt. The lid for the main compartment has a field of velcro for attaching patches. I personally would have liked to see a system of shock cord for external mounting of tourniquets instead of velcro, but that’s just me. 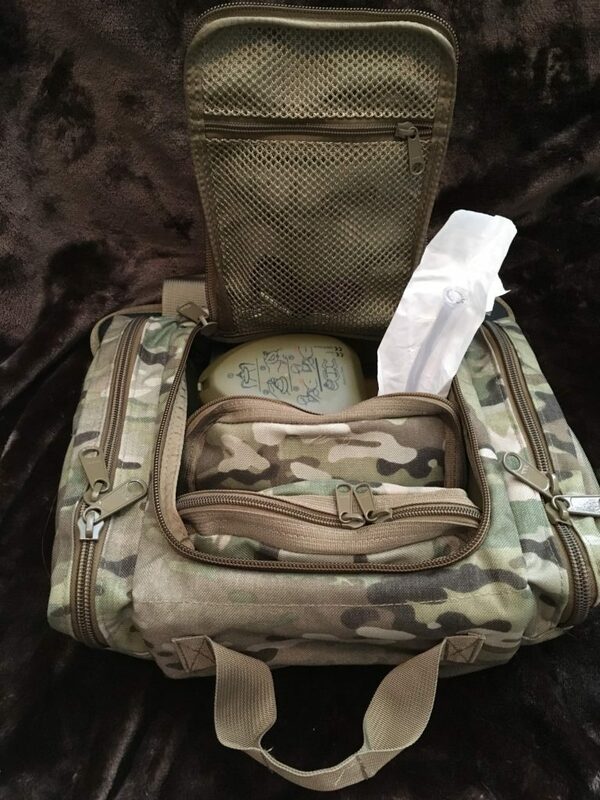 Overall the Intermediate Treatment Bag is an excellent choice for anyone needing to carry medical supplies, whether down range or around the house. 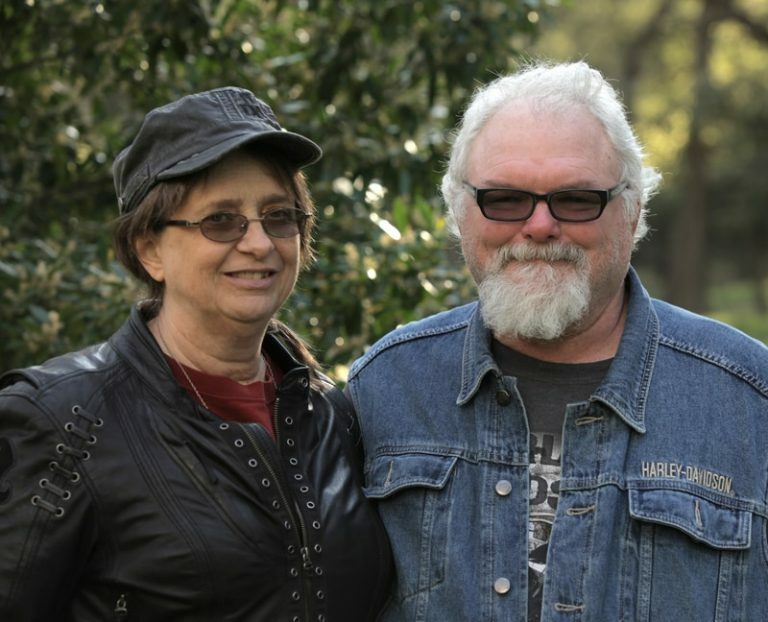 On the morning of Nov. 5, 2017, Stephen Willeford was asleep inside his home in Sutherland Springs, Texas until he awoke to the sound of gunfire. 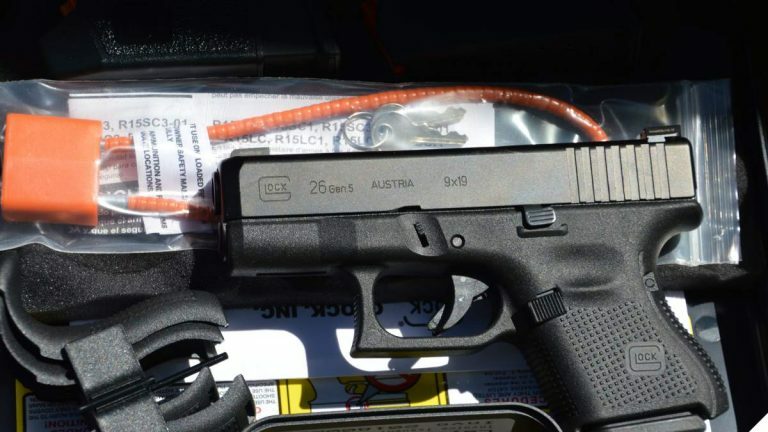 Knowing only that it was gunfire, he threw on a pair of jeans and ran to his gun safe. He grabbed an AR rifle, a handful of rounds, and bolted out the door toward danger. Willeford has been hailed as a hero for what he did next. He confronted a gunman who had just murdered 26 people and injured 20 others inside a church. 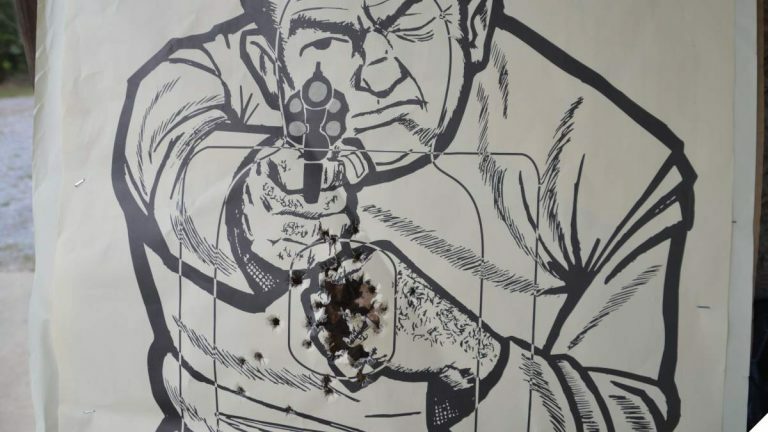 As a gun rights advocate and former NRA instructor, Willeford is a tried and true gun guy. Although statistically rare, Willeford trained because he knew a tragedy could happen along with any number of awful circumstances. On an ordinary day, though, you won’t find him toting around a rifle as his every day carry. 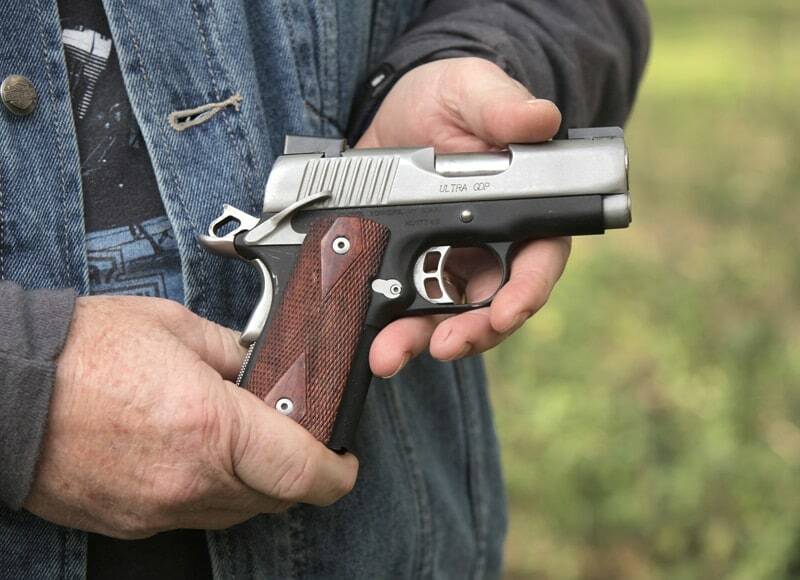 In an interview with Guns.com, Willeford said he carries a Kimber Ultra CDP pistol – one of the originals that was popular before the Marc 2 was released – and likes the 1911 style with a single-action trigger. “I’ve carried this gun for over 20 years. It’s a great pistol. It’s light due to the recoil reduction on the inside and the aluminum frame. It’s never failed me, and its size makes it very easy to conceal,” he said. Willeford added that he keeps the handgun in a Triple K pancake-style holster with a thumb break to ensure that it doesn’t fall out when he’s riding his Harley Davidson motorcycle. When a less noticeable and deeper carry is required, Willeford said he carries a smaller pistol. His Smith & Wesson M&P Shield allows him to step out in a suit without worry of his gun being seen. He carries the Shield on his hip inside his pants using a Kydex holster that features the comfort of a contoured molded back. He likes that it is designed to hug the body and prevent skin abrasion from the pistol. Here’s a book review of a paperback I never expected to read, but am exceedingly glad that I did. Amazon suggested this book based on my past purchases of a trio of novels by Kurt Schlicter. 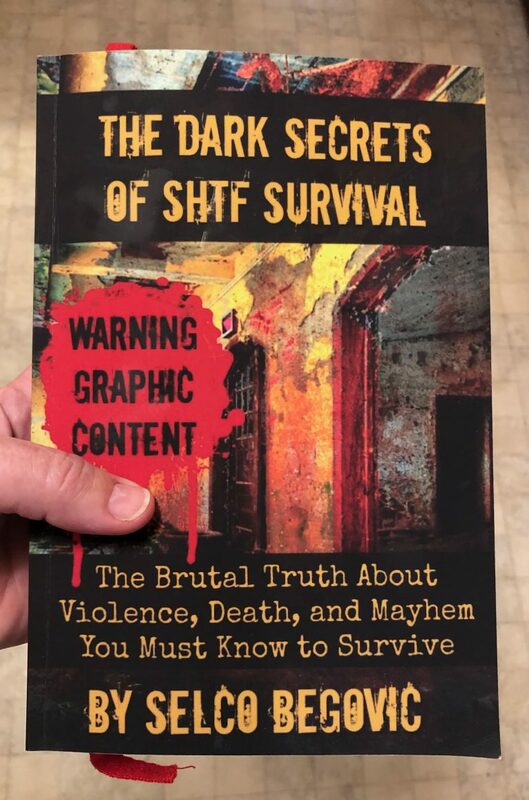 Selco Begovic’s book, The Dark Secrets of SHTF Survival, published just this year, is a compilation of stories and advice based on this man’s experience as a civilian trapped in his home city during the Balkan War of the 1990’s. He was eighteen years old at the time. Selco has had a blog presence for years and has been active in the “prepper” communities of the world – offering his advice and even offering classes based upon his harrowing experience of living through the collapse of his society. But this is not a “how-to” book. It’s a book about how it was and what he went through, and about the misperceptions many preppers have about how things will be and how they might handle themselves. It is about what this man’s reality was for a year in a besieged city with no public water, sewage, electricity, or food supplies. I’ll be the first to admit that I am not a “prepper” per se. The small amount of planning I have done is mostly for short-term scenarios like extended power outages, extreme weather situations, etc. I have planned for short-term inconvenience, not life or death survival. That is the background to why I ordered this book. Selco’s voice was new to me. His voice of experience about life during the Balkan war (during my adult lifetime) lends immediacy to those who worry about their own survival if something bad should happen “here” – wherever “here” is. It is not hyperbole to talk about “survival” in a civil war situation when all municipal services have ceased. Death stalked the streets of Selco’s city – not only from mortars and snipers, but from gangs, and starvation, and simple infection. In a situation like that a case of diarrhea can kill you. You may not think of a simple bar of soap as a survival tool to be packed and planned for, but it became one in Selco’s world. He covers a wide range of topics – from false media reassurance, to those who hoard gold coins to the prevalence of unburied bodies, to ways to help maintain your sanity and humanity in the midst of insanity and chaos. This book is written in his own accented voice – dropped articles and all. (English is not his first language) The editing is done lightly so as to preserve the impression that you are hearing the stories from the man himself. The book has large print and narrow columns, so the read is quick. But if you want a chilling reality check into just how fast the civilization and convenience we take for granted can crumble into chaos, you need to read this book. Thanks for asking Charles, unfortunately a truly honest answer must question the assumptions behind your question. To start with, why lump all the types of deaths together if not to create a more emotionally charged number to score points in political debates? Each type of death has its own etiology and its own solutions. Just blaming them all on the availability of guns makes an honest person wonder about the motive behind that. Why would some politicians and their media allies want us to lump those together? Doesn’t that confuse the issues and impede progress on each one? Next, there is an extremely important unfounded assumption behind your question and that is that gun control laws will actually make a difference. I’ve spent a lot of words and links here on Facebook explaining why they don’t. With so many different gun laws in the 50 states, it’s pretty easy to compare the results and restrictive gun laws simply don’t provide any benefit to society. Charles, I’ve tried to explain this to you many times and I think you understand what I’m saying, but you keep coming back to your emotion-based position that there must be something we can do about those deaths and it has to involve limiting access to guns. I’m really sorry that you feel so badly about that, but it’s not your fault and it’s not your job to save all those people. Humans are a violent species. They will find ways to kill and injure themselves and each other in spite of your best efforts. A man can protect his loved ones from some threats, but you can’t protect everyone from everything. Attempting to do so just leads us farther down the nanny state path which is and will be exploited by both left and right wing politicians. I suspect you can also drive yourself a little crazy obsessing over it. If you are truly concerned about preventable deaths, you would better spend your time raising awareness of the many diseases and social problems that cause exponentially more deaths. Perhaps you should examine your deeper motives? My theory is that liberals don’t like widespread civilian gun ownership because that makes it harder for them to impose their will on the people who don’t agree with their agenda. But obviously, that is very simplistic and I’m sure you can do better if you put some time and honest effort into it. And finally, I want to address an important difference in our thought processes, which is illustrated by your use of profanity. Non-liberals like me tend to make our arguments with facts, studies and anecdotes about our personal observations on the ground, so to speak. Liberals prefer to persuade by convincing others how strongly they feel about the issue. I guess they think that if they can only impress others with how really, really important something is to them, that others will be converted to their point of view. This disconnect between our thought processes, I feel, is one of the reasons why liberals are so frustrated and we as a nation are so polarized. I’m not trying to excuse bad behavior by right-wingers, that’s just outside the scope of this post. So Charles, you’re a really nice guy, but I don’t know what else I can say to help you understand the gun control issue. Perhaps it’s time for us to just let this issue drop? —Dr. 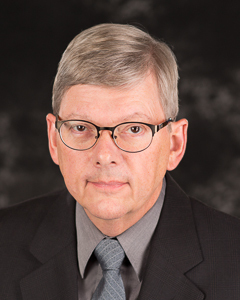 Michael S. Brown is a pragmatic Libertarian environmentalist who has been studying the gun debate for three decades and considers it a fascinating way to learn about human nature and politics. 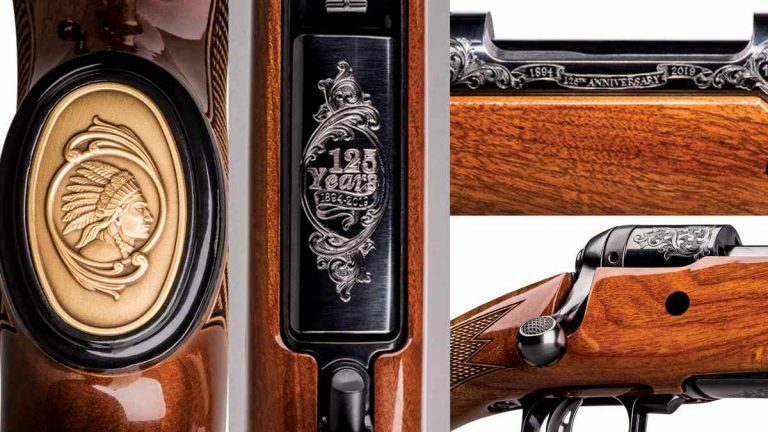 Engraved and accented, Savage’s limited-edition Model 110 collector’s rifle is celebrating the historic gun maker’s 125th anniversary. 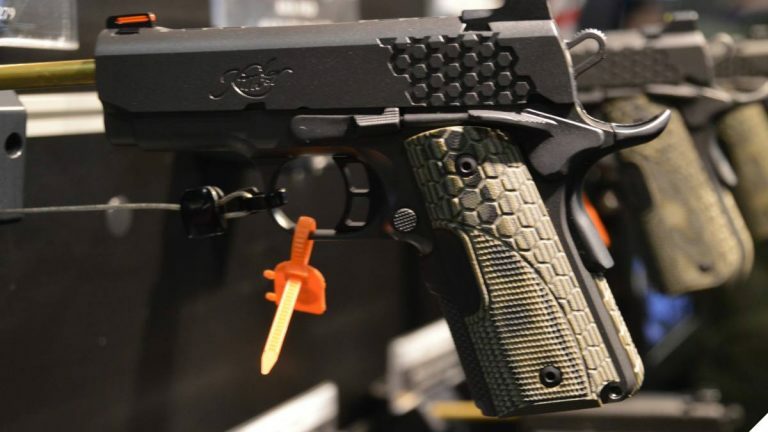 Capped at just 1,894 rifles in the series, the guns will be built in Savage’s special order shop throughout 2019. The company stresses that orders will take 16 to 20 weeks to complete due to the custom nature of the work. Using a series 110 bolt action, the rifle is fitted to a walnut Monte Carlo stock and has engravings on the receiver, grip cap, and bottom metal. The guns come standard with a carbon steel barreled action that is drilled and tapped receiver, a 22-inch button-rifled barrel, and user-adjustable AccuTrigger. Weighing in at about 7.5-pounds, these limited edition rifles will be offered in .243 Win, 6.5 Creedmoor, .250 Savage, .300 Savage, and .308 Win, each with a 4+1 round detachable box magazine. Each uses American black walnut furniture. Price on each is set at $1,499. 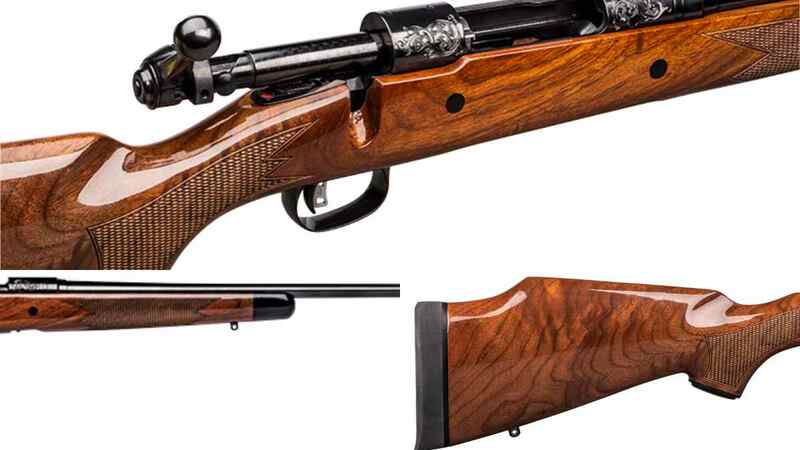 For a beautiful 110 that still sports a hardwood stock but without the custom embellishments, there is also the more standard Trophy Hunter series, which runs about $590. Project Childsafe has announced a new series of videos aimed at diverse demographics to help new and future gun owners with firearms safety. Funded through a grant by the Bureau of Justice Assistance and produced in conjunction with the National Shooting Sports Foundation, the three new videos in the “Many Paths to Firearm Safety” series highlights different gun owners and the steps they take to secure guns when not in use. The roughly two-minute videos are told from the viewpoint of Mateo, who is starting a new family and keeps a gun for home defense; David, a lifelong hunter who stores his sporting guns in the home; and Whitney, a new gun owner in a bad neighborhood. “Oh, I get it now.” was the first thing I thought as I put on the Defender Flex jeans from 5.11. I’m a pretty frugal guy when it comes to clothes. It can be hard for me to justify spending 70 bucks on a single pair of jeans. That all went to the wayside as I slid the Defender Flex jeans on. They are so damn comfortable. The Defender Flex Jeans aren’t your Mom’s Jeans. These are purpose-built tactical pants that offer you the casual, low profile jeans look. On the outside they are just good looking jeans, when you start wearing them you see the potential. Outside of looking good and being comfortable they are ultra flexible. They allow tons of movement that jeans often restrict. Running, jumping, taking a knee, or getting in those odd behind cover positions are easy. You never feel the pants restrict you, or make you feel like they’re about to rip. The price made more and more sense as I continued to wear them. These have quickly become my favorite jeans and I’ve worn them for about a month now. This is the straight cut, but a slim fit is also offered. They feature you traditional five pocket cut, as well as a hip pocket on either side that’s low profile and easy to miss. This extra pocket just happens to be the perfect size to keep a AR 15 magazine in place. The pockets are cut low enough to easily draw the mag, but high enough to keep it secure. You could squeeze in an E&E kit, a tourniquet or two, or a decently sized flashlight. The pockets are easy to reach and concealed easily under the right shirt. The flexibility of the pants in the biggest draw to me. I love being able to move freely, and dip, dive, dodge, and duck without feeling restricted. The flex also allows for a comfortable IWB carry of your choice of firearm, large and small. The waist gives just enough to be comfortable but is tight enough to keep your IWB gun secure. If you prefer a low profile Loadout then the Defender Flex jeans are for you. If you want a stylish, comfortable pair of pants you can work in then the Defender Flex jeans are also for you. I’m not really sure I can go back to my big box store jeans after sliding into these bad boys. At just 7.8 lbs the all new SAINT™ VICTOR .308 hits like a ton of bricks without the weight of a traditional AR-10. Purpose built to offer serious power in a quick handling configuration, the SAINT VICTOR in .308 features a 16″ light weight barrel, M-Lok® free float hand guard and included flip-up sights. Never a victim, always the VICTOR. Springfield Armory is entering the AR-10 game with the latest extension of their Victor line. 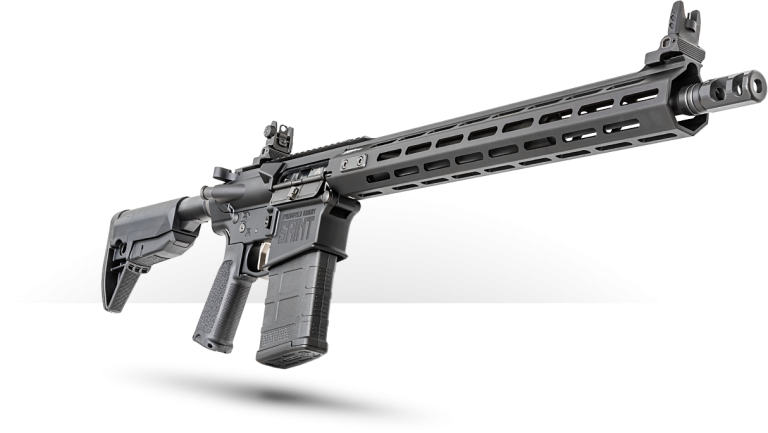 All Victor models include an M-Lok Aluminum Free Float handguard with patent-pending SA Locking Tabs for unlimited customization. An enhanced, nickel boron coated single-stage flat trigger ensures a grit-free pull for consistent accuracy. The SAINT Victor rifle comes outfitted with SA spring-loaded flip-up iron sights that are adjustable for windage and elevation. The SAINT Victor is fitted with premium furniture including a BCM 6-position stock and pistol grip. QD mounts built into the end plate and stock offer multiple options to suit your sling configuration preference. The SA Muzzle Brake effectively distributes pressure upward and outward to counter muzzle rise for faster and more accurate follow up shots. If you drop the vowel devoid STNGR name into Google right now you will find… free float handguards. 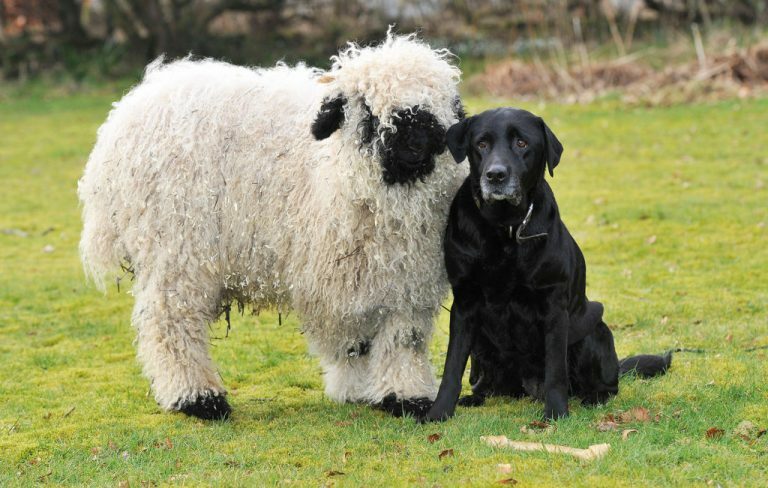 Sharp looking ones too. But those aren’t the glasses you were looking for. Never fear, you are in the correct place, just click on the STNGR Edge tab and you’ll find yourself where you originally expected to be. 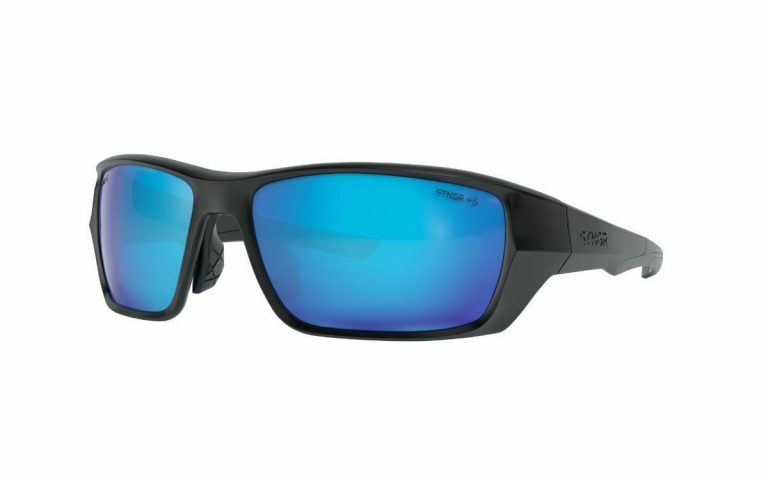 The company’s new branch, STNGR Edge, is entering the ballistic eyewear market and they are proud of their product. I recall another company using a truck and tire to demonstrate durability about 12 years ago. I have a set of the Alpine’s, and they are among the best glasses I’ve had the chance yet to use. The Alpine’s frame comfortably wraps around the eyes, the bridge of the nose, and with enough support around the sides of the head and ears that they won’t slip off while looking at odd angles. They sit closer and shield the eye more completely than several competing frames, important for protecting against off angle debris, slag, or fragmentation coming from a high, low, or wide angle. The ANSI/IESA or American National Standards Institute/International Safety Equipment Association have a book of tests and standards for an encyclopedic sized collection of safety equipment. The passages were are concerned with though are those referencing the Z87+ marking. The Z87+ indicates a non-prescription high velocity impact standard and a required amount of coverage for the wearer’s eye. The tests are similar to the MIL-PRF 32432 Ballistic Fragmentation standard but the military’s has a more stringent (higher energy) standard than Z87.1. A Z87+ set of eye protection is designed to protect against a wide variety of flying high speed hazards. Fragmentation from a steel target impact, unburnt powder, dirt, sand, spall, etc. The STNGR lens selection has both mirrored and matte options. Their clarity is exceptional. From the front the glasses present a typical high quality mirrored image but from the back you can see the amber coloring in use for popular eye visibility eyewear. Glare and brightness are reduced while detail and color acuity remain very high. Even in the reduced lighting of an indoor range, dawn, or dusk, the STNGR’s are more usable than most darkened lenses by a substantial margin. In short, I like them. Short Version: USCCA will be crafting policies that cover defense in ERPO claims. Longer version: USCCA employees in customer care were using a managerial approved response to the question about ‘Red Flag’ legal defense. These responses did not reach Tim’s level and he will be making training corrections and formulating a policy product to address coverage. So, does USCCA support ‘Red Flag‘ laws? Their President & Founder certainly doesn’t and he is taking steps to be certain that is understood company wide. The SA80 has had a storied history. Until the A2 iteration, with the help of H&K, the rifle had very serious reliability issues. But early in its development that actually wasn’t the case. Before the U.S. swung NATO the way they did in small arms development the Brits were working on a bullpup that would eventually be broken enough to become the SA80/L85 first iteration. But prior to that the prototype rifles they were developing actually worked alright. The problem with giving a bunch of good engineers an engineering problem that they have no practical experience with (IE: small arms development) is that they just do not possess the familiarity to think of the small items like ergonomics against web gear or how it will run when snow gets packed into the space behind the trigger guard. With working parts, the $44 die-cast replica includes an adjustable bipod, a detachable magazine with three alloy (non-firing) rounds similarly shrunken to scale, muzzle brake and scope. Also, it could be one of the few California-legal .50s! GOAT makes all sorts of model rifles ranging from Mini Steyrs, ARs and AKs to Thompsons and SVDs. And yes, they even had a gold Kalash for those with a little mustached tyrant side. 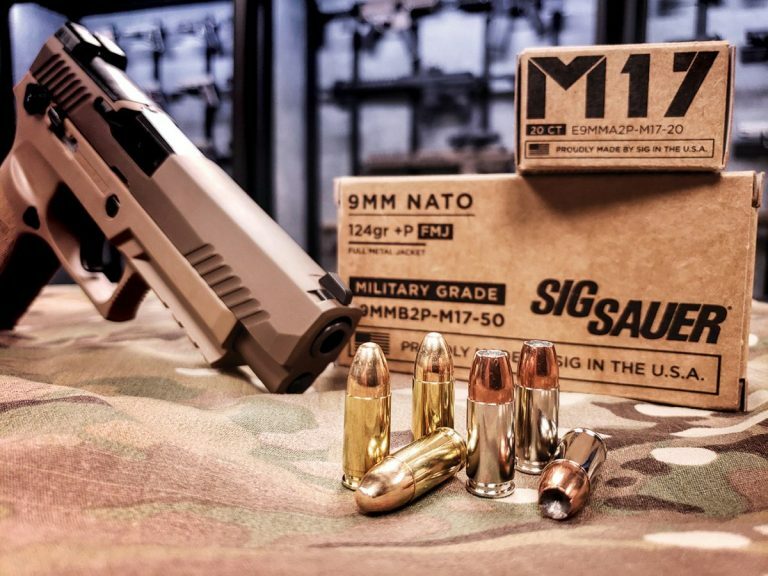 SIG SAUER has just introduced the newest addition to their Elite Ammunition line—the high-performance M17 9mm +P load. This military-grade ammunition is available in 124-gr. SIG Elite V-Crown JHP personal defense loads, and SIG Elite FMJ training loads. SIG M17 ammunition is specifically engineered for exceptional performance in any 9mm +P rated pistol, including the SIG P320-M17.